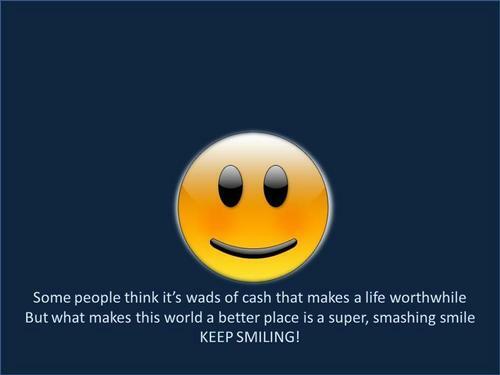 Keep Smiling !. . HD Wallpaper and background images in the KEEP SMILING club tagged: smile fun lovetreehill. A smile is so worth so much more than money! Right : money is no important in life. Heart, friendship, love are the most beautiful things !